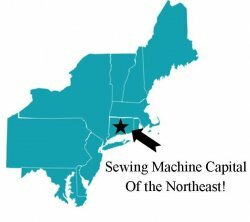 Micro Thread Control (mtc) The patented mtc makes over-the-edge thread loops disappear with a quick flip of a lever. 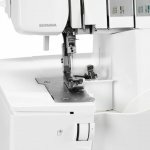 This saves time and effort while ensuring consistent high-quality stitches, professional-looking seams and finished edges. 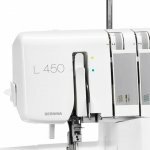 Ultimate Comfort The BERNINA L 450 offers great sewing comfort. The two LED lights give bright light not only by the needles, but also in the looper threading area. 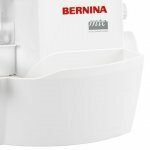 The differential feed ensures wave-free seams in knits and no puckering in fine fabrics. The most commonly used accessories are located in the looper cover, neatly arranged and ready to be used. A perfectly fitted cut-offs bin not only holds the cut-off fabrics, but also serves as foot control storage. Easy Threading The manual needle threader allows for easy and ergonomic threading. It is simple to thread the lower looper thanks to the lower looper threader. 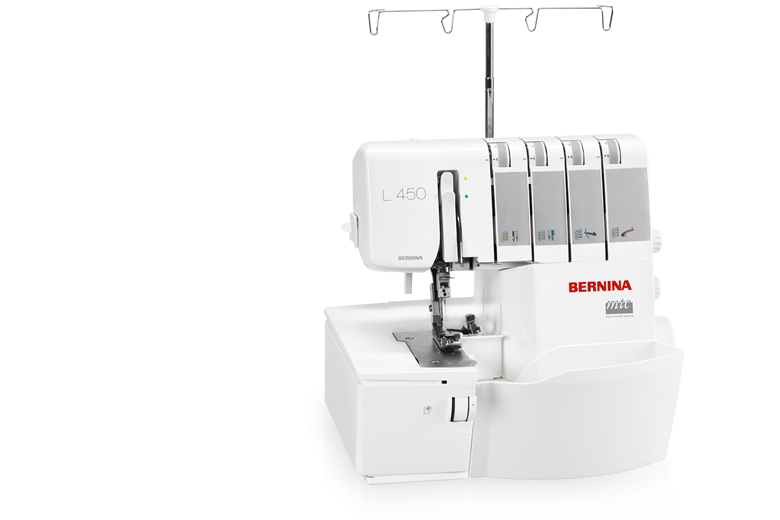 The color-coded threading path and the handwheel positioning window help you thread quickly. For your convenience, there is a thread cutter on the left cover.